Director: Tim Johnson, Karey KirkpatrickWriters: Len Blum, Lorne CameronStars: Bruce Willis, Garry Shandling, Steve CarellSummary: RJ, a raccoon who needs food, accidentally takes food from a hungry bear named Vincent and he wants his food to be found in exactly the same place in a week. 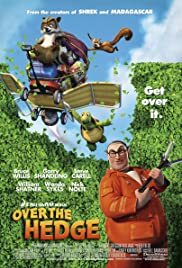 He finally finds that an animal family, with a tortoise named Verne as their leader, could help him restore the food from the suburbia, the gateway to the good life. But little does RJ know, there is a woman who has recently hired an exterminator to try to hunt them down.